“Good Lovin’” (No. 1 in 1966), “I’ve Been Lonely Too Long,” “Groovin’” (No. 1 in 1967), “How Can I Be Sure,” “A Girl Like You,” “A Beautiful Morning” and “People Got to Be Free” (No. 1 in 1968). Chances are you’ve heard them all. Rock icon Felix Cavaliere is still a Rascal, if nothing other than a lovable one. And over his decades-long career, he has scored four No. 1 hits, 10 top 20 singles, six top 20 albums, a Grammy nomination and four Hall of Fame inductions. I spoke with him by phone while he relaxed at his home in Nashville as he once again prepared to take his music on the road. The Rock and Roll Hall of Famer brought his legendary sound to the Key West Theater on March 18. (This interview was conducted before the show but, in true musician fashion, too late to run in last week’s edition of Florida Weekly.) Before he and his band reached Key West, however, their tour had started with a few grueling gigs on the West Coast. It would be the first time the front man of the Rascals played in Key West. “I’ve stopped there a few times on cruises, but I’ve not worked there before,” he told me. Cavaliere’s message has always been to stand for peace, love and happiness. The classically trained pianist was born in Pelham, N.Y., and idolized Ray Charles, Marvin Gaye and Sam Cooke growing up. He embraced the Hammond organ early on and pioneered a fresh rock-androll sound for the Young Rascals (and eventually the Rascals) in early 1965. 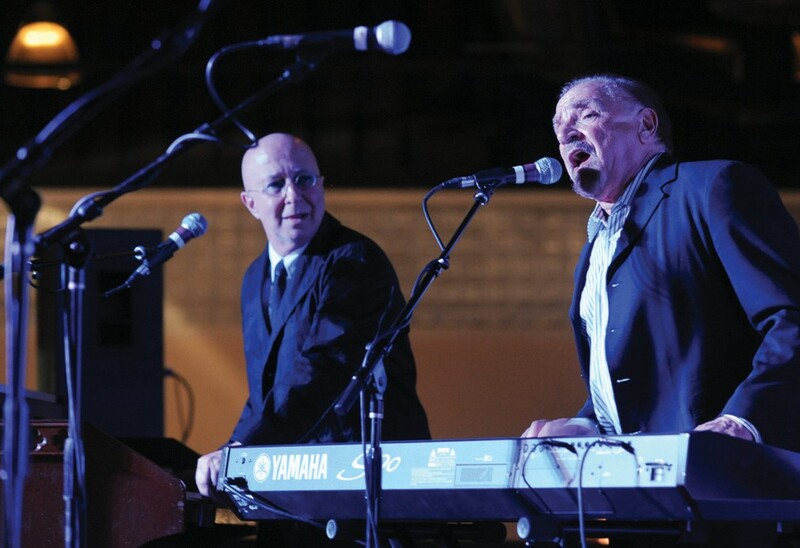 The Rascals are considered the best “blueeyed soul” group to come out of the 1960s, and are one of the groups with the most record sales. I asked him if he would be lugging around a full-sized Hammond B-3 on this tour. “We’ve had trouble with that,” he admitted, adding he had decided to go with a smaller, yet just as effective, product. Although not promoting a new album, he said he is constantly collaboarating and writing new material. 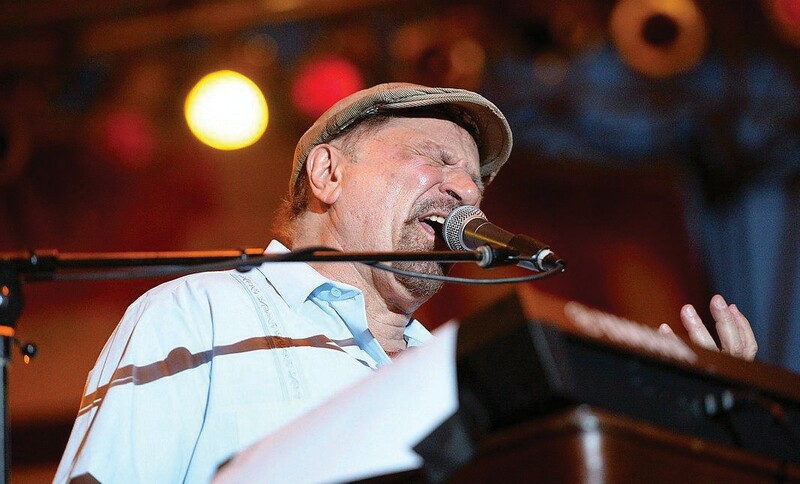 He’s promoting a new book, a memoir titled, “Felix Cavaliere’s Rascals,” while on tour. We chatted a bit about how the industry has changed over the past 50 years. “The music business has turned completely 360 degrees as far as what I was really hoping to be doing right now, which was songwriting,” he said. “Songwriting has taken a backseat, and ‘live’ has taken a front seat. That’s good, you know, but I was hoping to jump on the backwagon to write. “It’s like anything else: You’ve got to go with the flow. The flow right now is very technically oriented, not only businesswise, but music-wise. Everything’s tech now. You have to adapt to it or get out. Unfortuntely, the band wasn’t able to stick around Key West after the show. “We’ve got a few more dates in Florida … Naples, Boynton Beach,” he said. I wanted to know what we could expect from his performance at the Key West Theater. “In our days we didn’t have the internet, Facebook, iPhones. Our generation was connected to the music. Very much so. So that’s what I try to do: I try to reconnect everybody to that type of experience where everybody’s singing along, everybody’s having a good time, everybody’s kind of enjoying the moment, so to speak, rather than checking their phones to see if they have any texts or messages. “What I try to do is bring that atmosphere back. It really works because the people remember it. They enjoy it. So we literally cater right to that.